Well we’ve got good news and bad news, listeners. The bad news is that my original plan for this month’s episode fell through. But the good news is that I’ve had the content for this month’s episode for several months! Waaaay back May of this year (Memorial Day weekend, to be precise), Jeff and I attended the annual horror convention in Seattle called Crypticon. We had a great time and I was very glad to be a part of two separate panels – one of which I moderated. 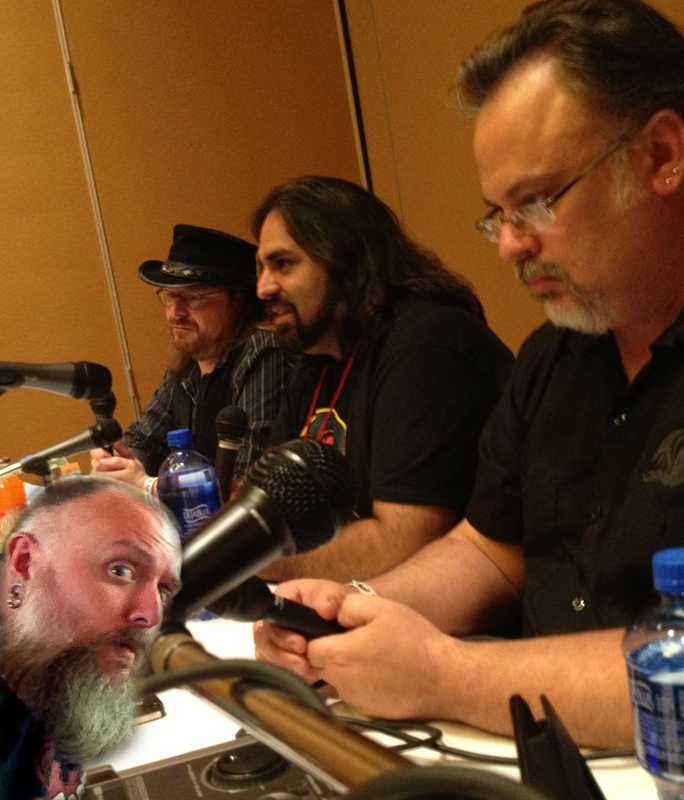 The titled of this panel was “Kaiju Control Group” and my experts were my co-host Jeff Dean, host of the Monster Island Resort Podcast, Miguel Rodriguez and owner of Seattle’s The Dreaming comic book & game shop, Aron Tarbuck. You may remember Miguel from his appearance during our first Emergency Broadcast. 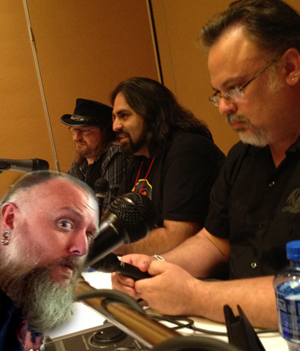 Aron, too, has been on the Kaijucast when I first went to Seattle’s Crypticon back in 2010. I always love hearing people’s opinions on the kaiju genre and this was a fantastic conversation that I am really glad was recorded. Big thanks to the panelists and to Eric Morgret from the convention! Hopefully the Kaijucast will be asked to do something in some capacity for next year’s show! In lieu of playing listener requests for this episodes, I decided to play the Blue Öyster Cult’s Godzilla as a toast to Allen Lanier who died this week. Ultra Q is now on DVD…go buy it! 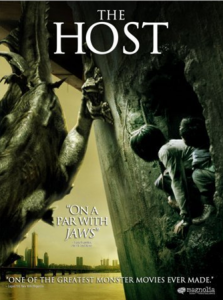 Don’t forget that this month’s Daikaiju Discussion is for the Korean monster movie from 2006, The Host! It’s a cool, yet somewhat strange monster movie and I’d love to know what you think about it. The good news is that if you don’t have this on DVD at home already (c’mon, get with the program, people! ), the film is on Netflix Instant View. You still have some time to watch it and get involved with the next episode, so please send in your homework (thoughts, questions & reviews) no later than August 22nd.